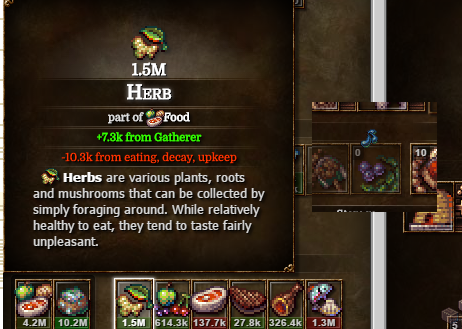 I am at the current end game, and I removed all the gatherers to reduce the number of herbs and stuff I had, and found that even with 0 gatherers, I was still gaining herbs and fruit. I removed all of my woodcutters and hunters and fishers too and they seem to be fine, they aren't gathering when I don't have any of them so it only seems to be affecting gatherers. There is a Cultural Trait you'll inevitably get where idle workers still collect, though at a lower rate than active Gatherers. Exactly, everyone needs a hobby.